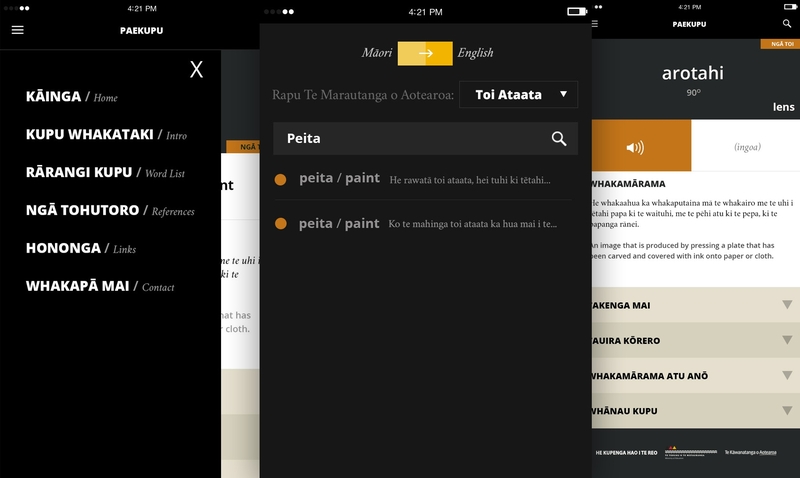 We partnered up with the NZ Ministry of Education along with government firm, He Kupenga Hao I Te Reo, as well as New Zealand-based Configra, to create an online application able to house countless language education resources. 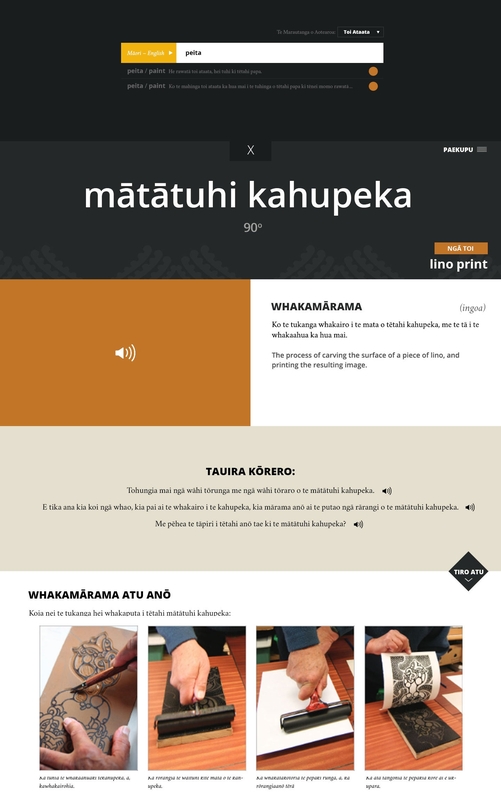 The result was a dynamic custom framed PHP web application that effortlessly walks users through the existing written text books of the maori language. Focused on mobile development, the fully responsive application is optimized for mobile and tablet devices while providing a back-end CMS that admin level users can use to digitize the existing print layout files and generate copy and imagery within the site. Coupled with an impressive elastic search functionality, the user will begin to be able to link relatable taxonomy and vocabulary for accelerated learning. This coupled with enhanced audio references at the push of a button, brings the existing curriculum to the digital world.